The Henriot family came to the Champagne region in 1640. They devoted themselves to the textile and wine trade and, by bit, acquired vineyards in their possession. In 1808, the brand Champagne Henriot, which is still owned by the family, was established. Champagne Henriot has even become the wine of the Habsburg court and not only has it ranked among the most demanding homes in Champagne. Cuvée Rosé is a classic Pink Champagne made by blending white and red wines (assemblage). The wine is matured for at least three years on yeast slurries and is made up of the Pinot Noir variety and a high proportion of Chardonnay, which gives it elegance, softness and long aging. The aroma and taste are the distinctive tones of forest fruits and cherries. Try seafood, salmon, tuna and sea fish with tomatoes (eg quazzetto) or fruit desserts. Cuvée Souverain in a 1.5 liter magnum bottle. 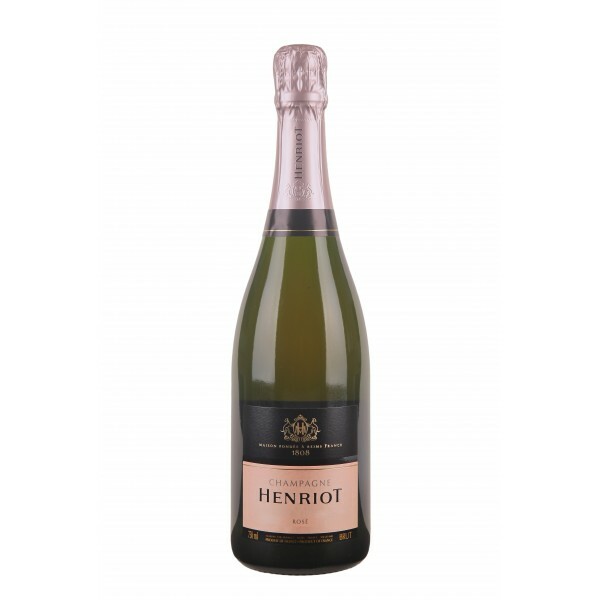 The best Henriot style indicator with a balanced ratio of Chardonnay and Pinot Noir varieties. Caviar, Lobster or other seafood is an ideal link to this prestigious champagne. Ideal for fresh fruit, Sabayonne cream, tea sauce or lemon cake.